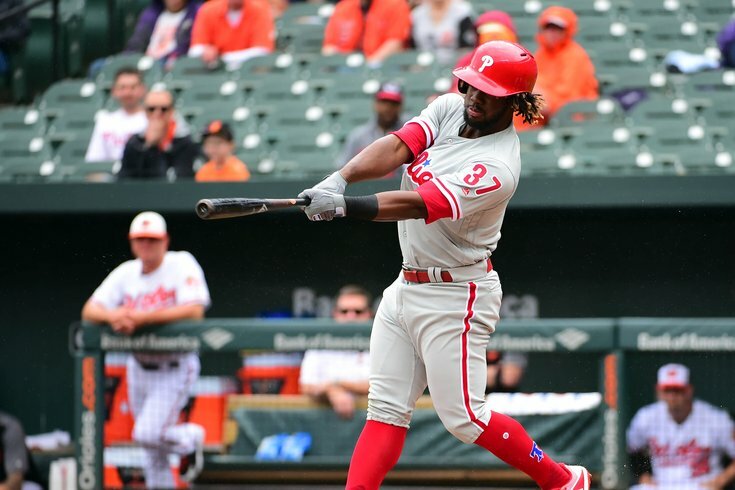 MLB Power Rankings Roundup: Phillies are on the rise – so how high did they climb? Philadelphia Phillies outfielder Odubel Herrera. The Phillies are a quarter of the way into the 2018 season, and first-year manager Gabe Kapler has to like what he's seen from his team. The same can be said for their fans. The Phils are currently 24-16 and sit just a half game out of first place in the National League East following their 4-1 win over the Orioles on Wednesday. After a rocky start to the season, Kapler seems to have found a grove – and so have his players. With an 8-4 record in May, the Phillies are among the hottest teams in baseball, and that has them rapidly climbing (almost) everyone's power rankings. Short. Sweet. And to the point. Also, the Phillies climbed eight spots in Matt's rankings, which is quite a jump when you consider there are some folks out there who didn't even move them up one damn spot. Don't worry, we'll get to them. The Phils also cracked the Top 10 in ESPN's rankings, coming it at No. 9 this week. That matches their highest ranking by the worldwide leader so far this season. Another ranking, another big jump into the top third of MLB for the Phillies. After checking in at 15 last week, they're up to No. 10 over at Rotoworld. There's no change in their ranking since last week, but they do give the Phillies a +4.22 adjusted power rating, which is nearly as close to the team in sixth (TB, +8.26) as it is to the team in 12th (CLE, +0.07). Twelve seems a little low, but at least Alyson had them moving up a few spots – they were 15th a week ago. The Phillies climbed six spots in the B/R rankings, but because they were so low a week ago, that wasn't good enough to get them into the Top 10 in MLB. A 14-7 start was followed by a 3-7 stretch of games, but they're back on the rise at 6-2 in their last eight. The Phillies didn't even move up a single spot? Geez.